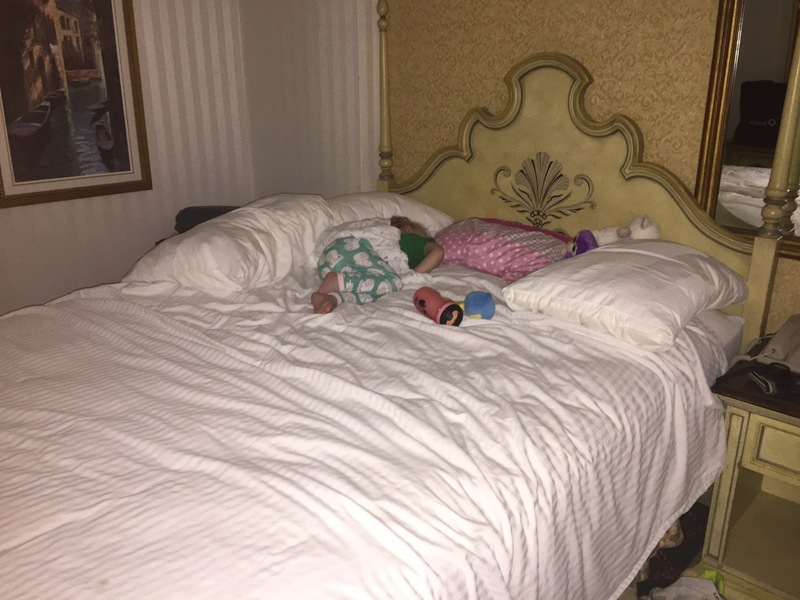 Madison was super excited to be in her own big girl bed at the hotel…. 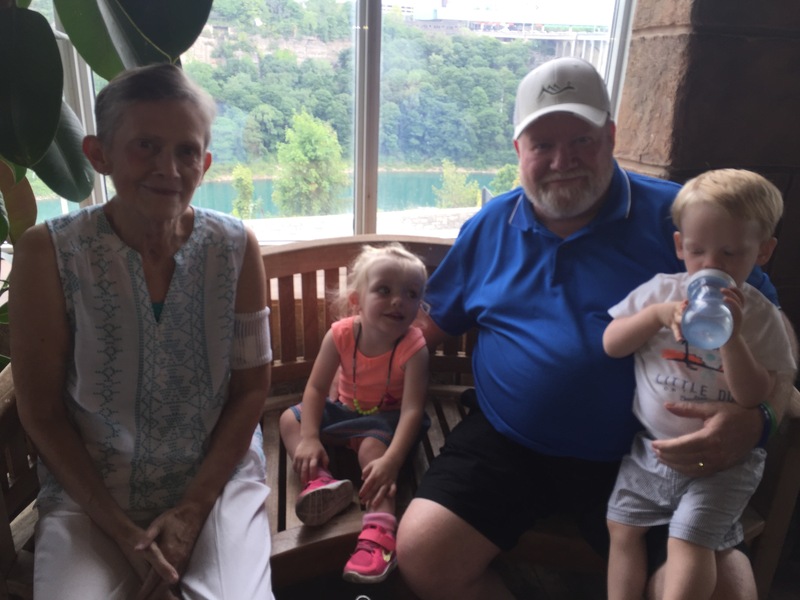 So excited that she didn’t get much sleep so she met up with everyone for a late breakfast. 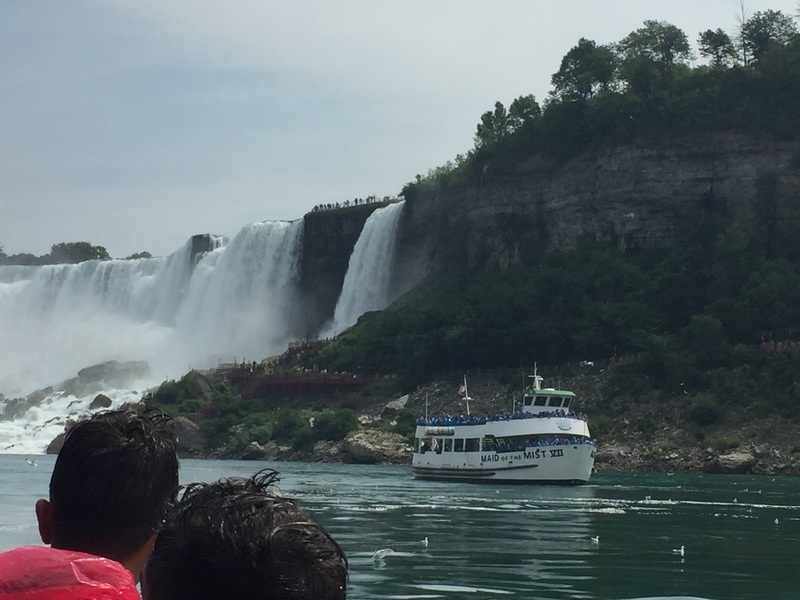 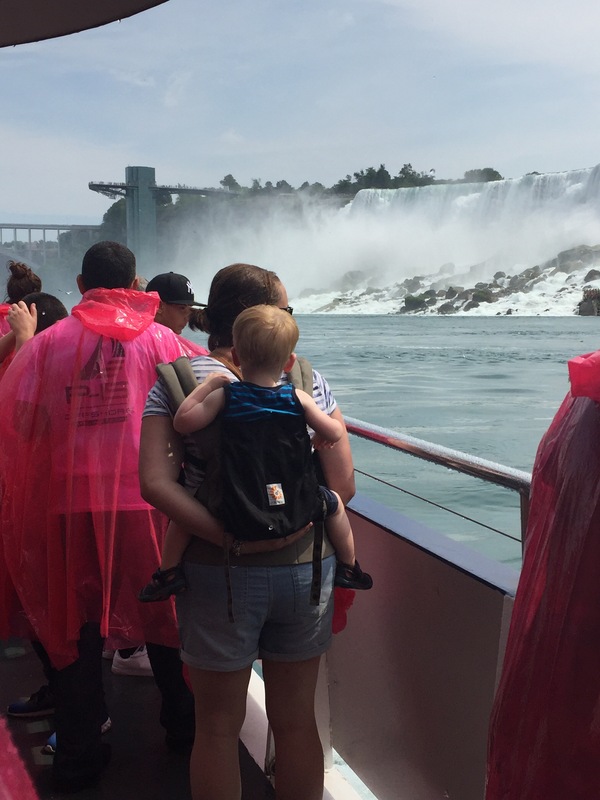 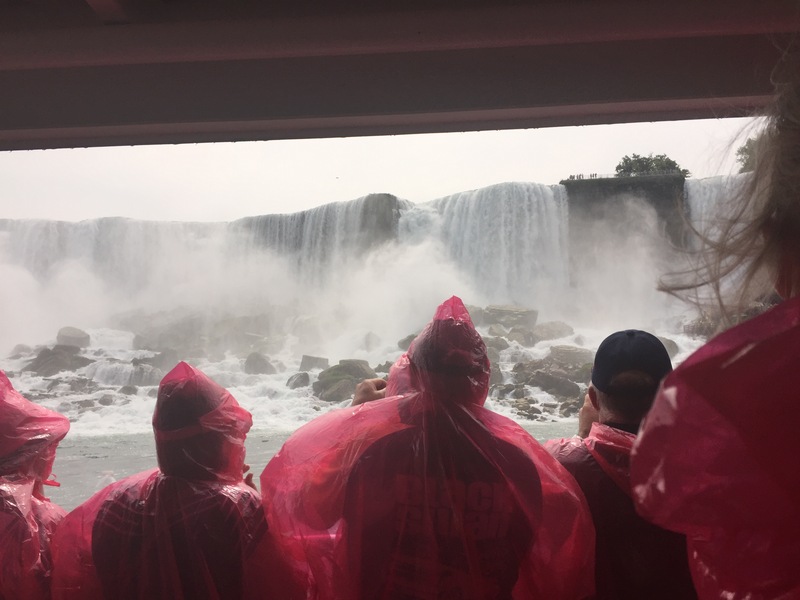 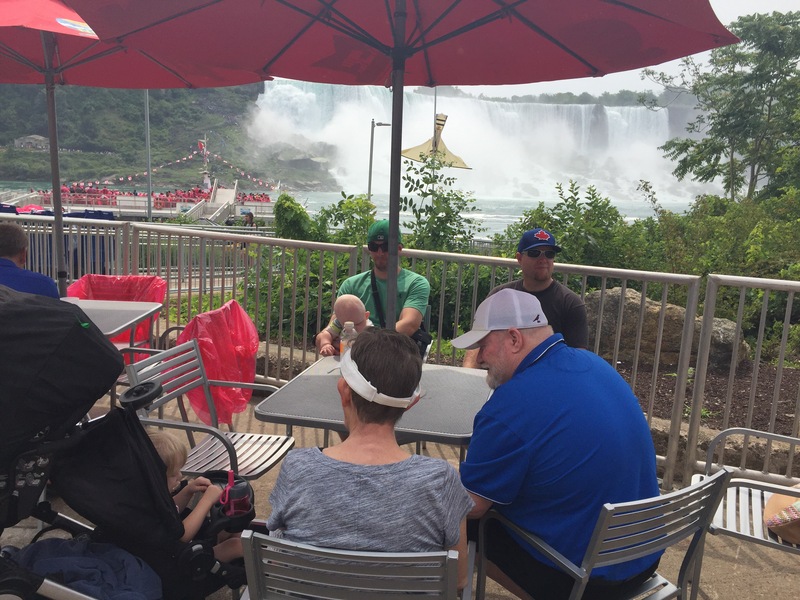 When she was all done her pile of bacon, her & Jack and the crew walked to the boat to see the falls. 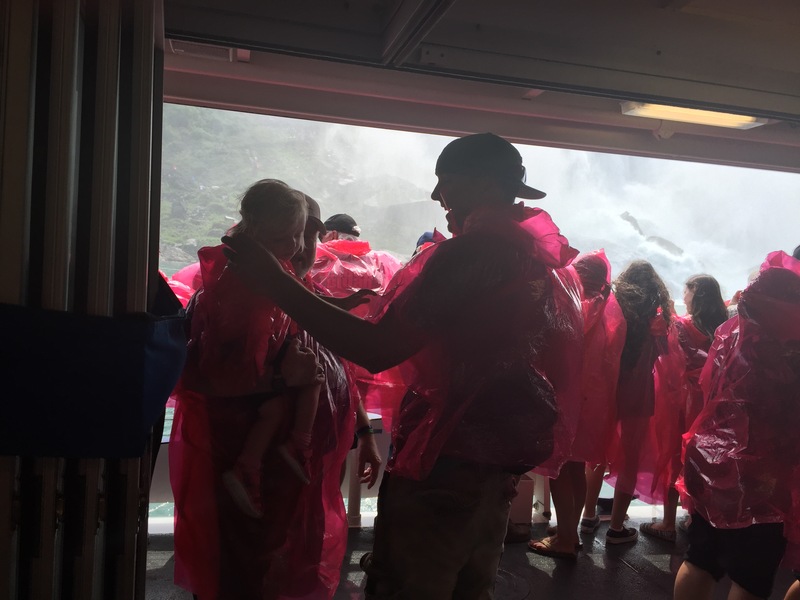 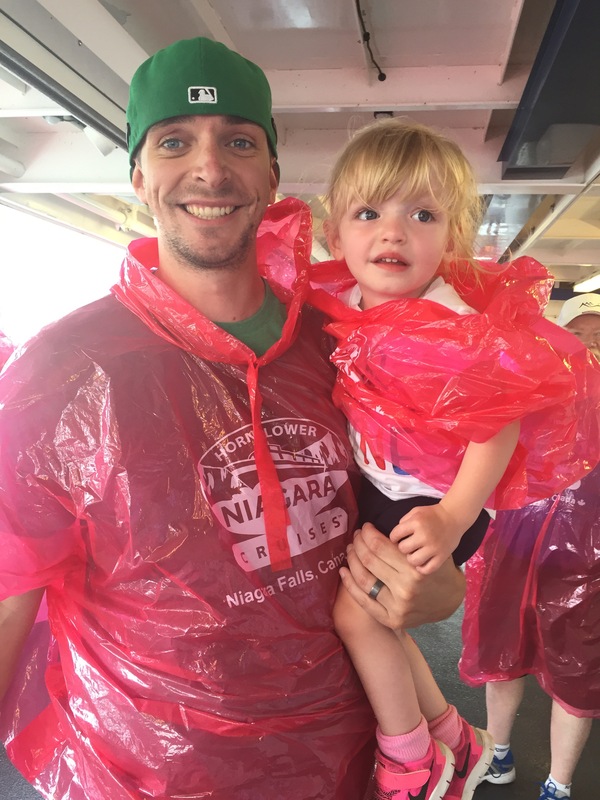 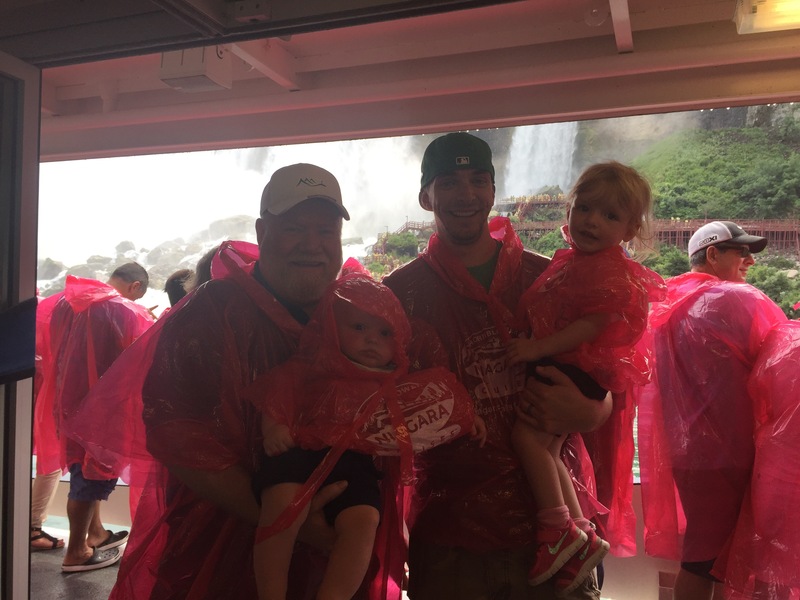 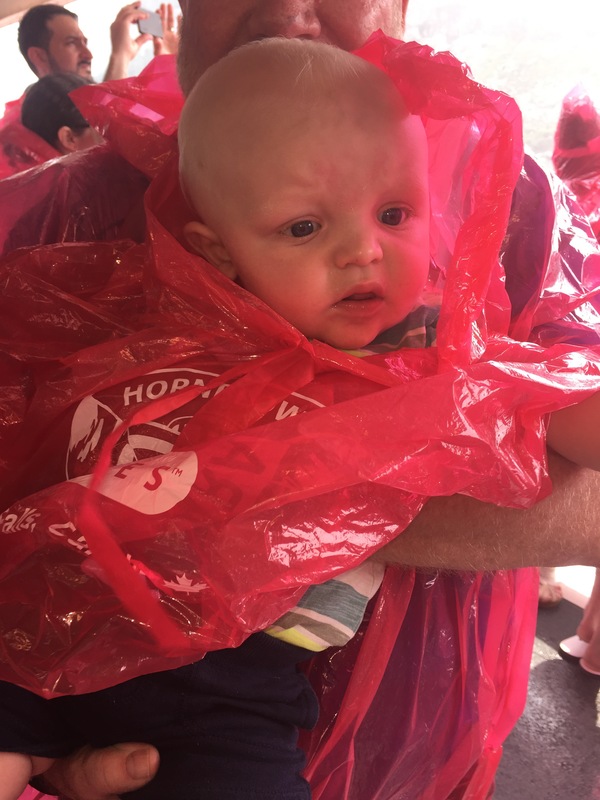 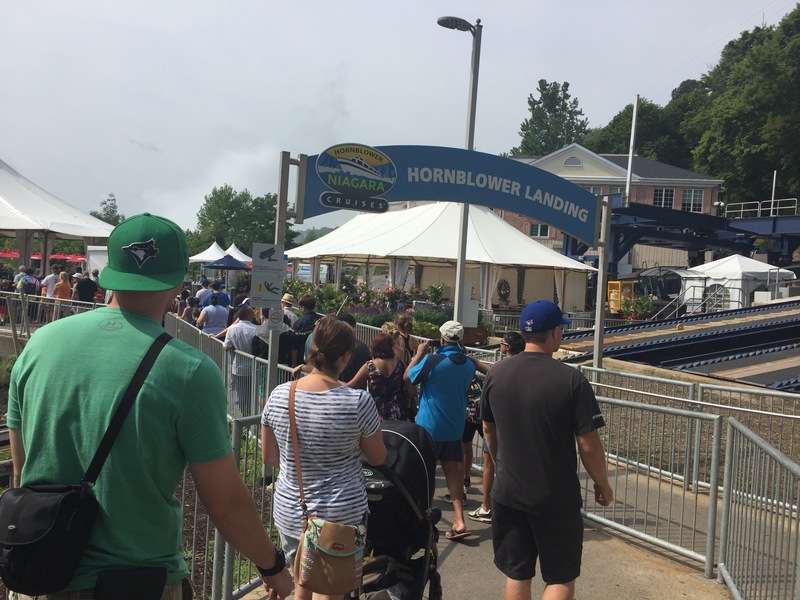 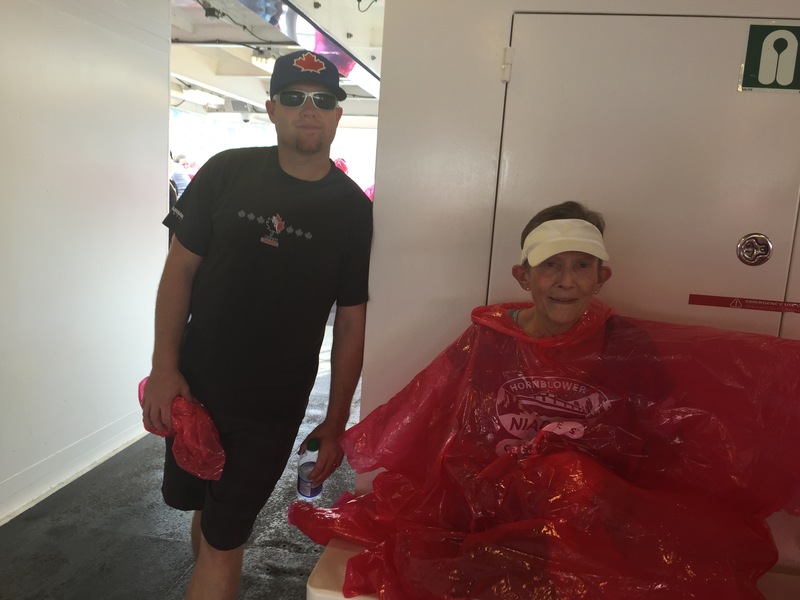 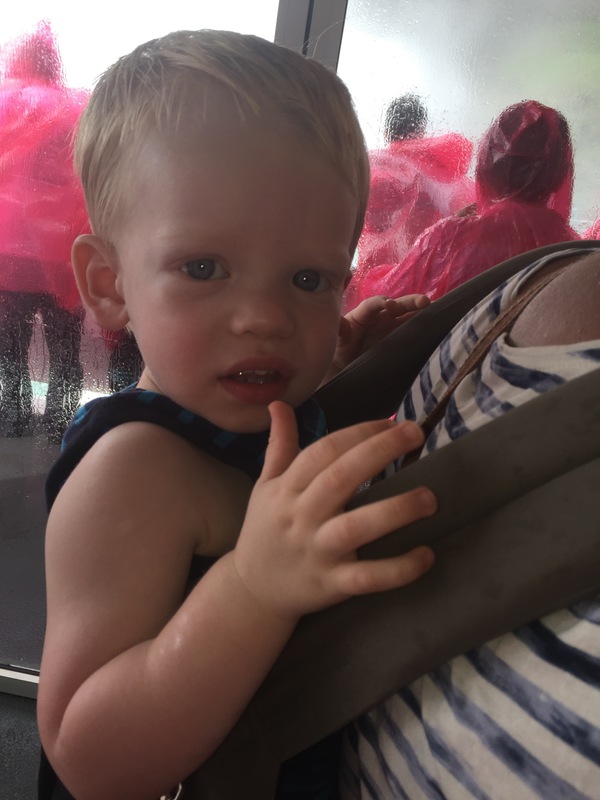 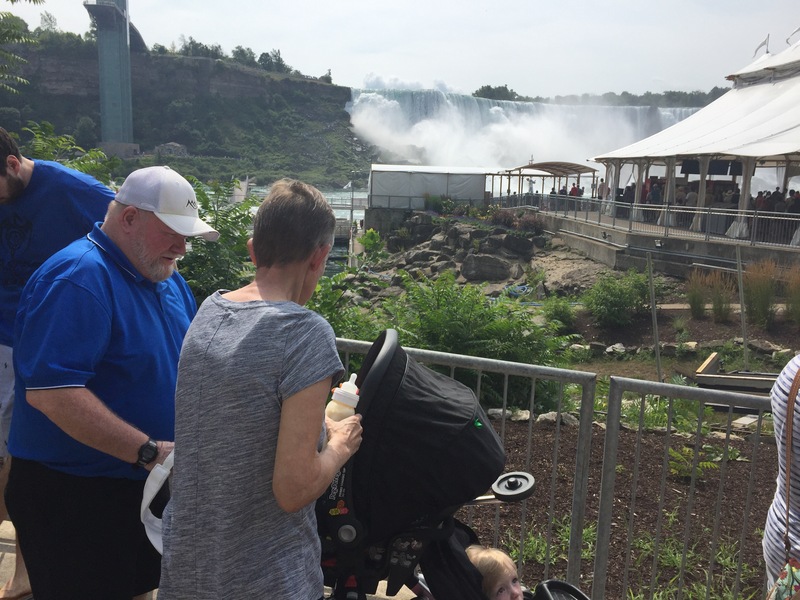 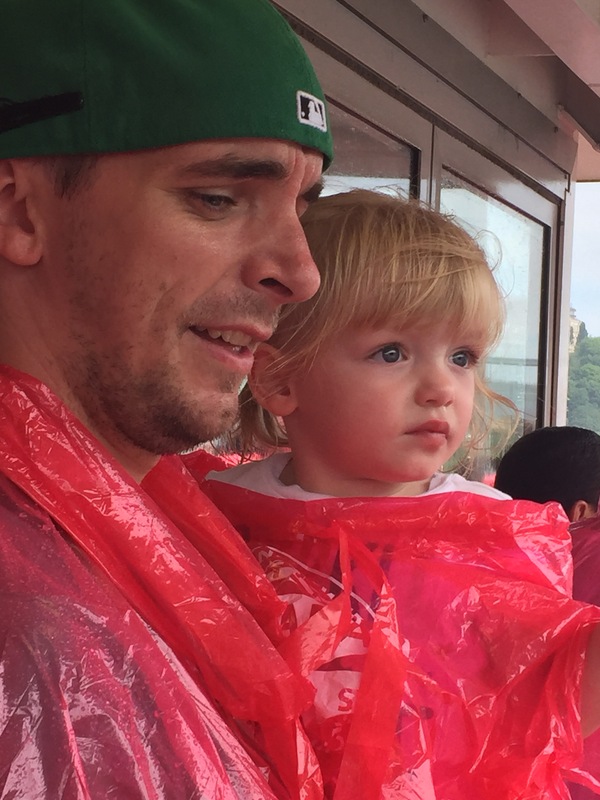 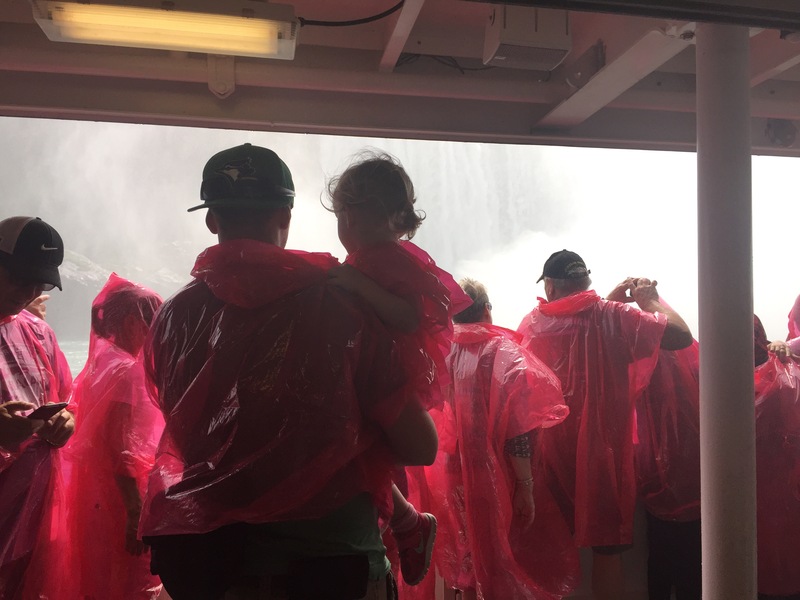 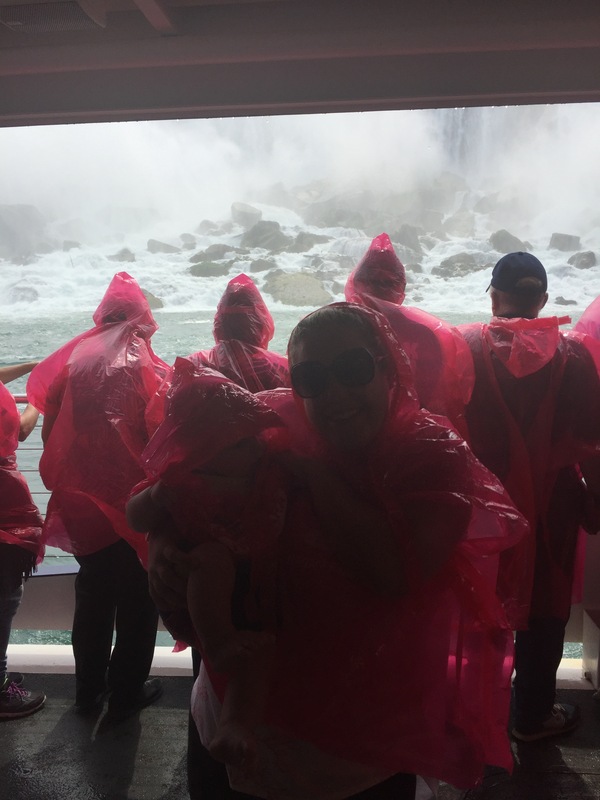 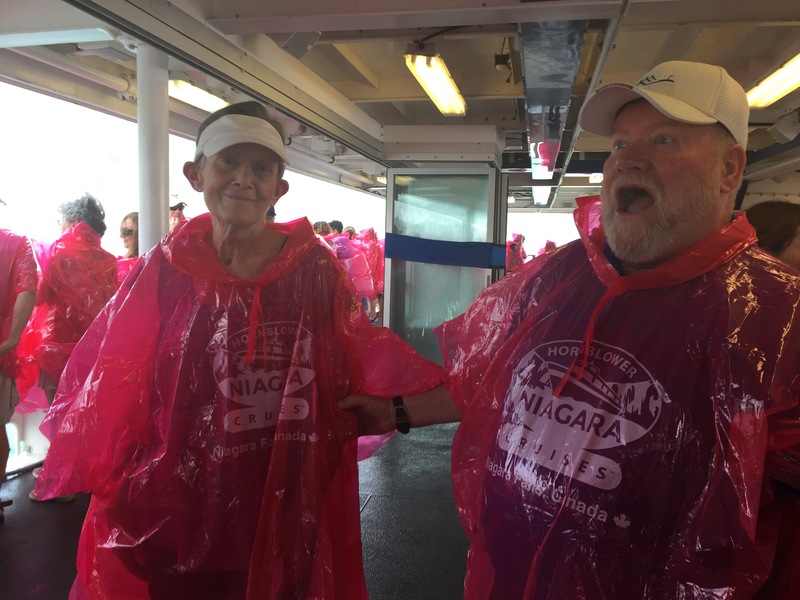 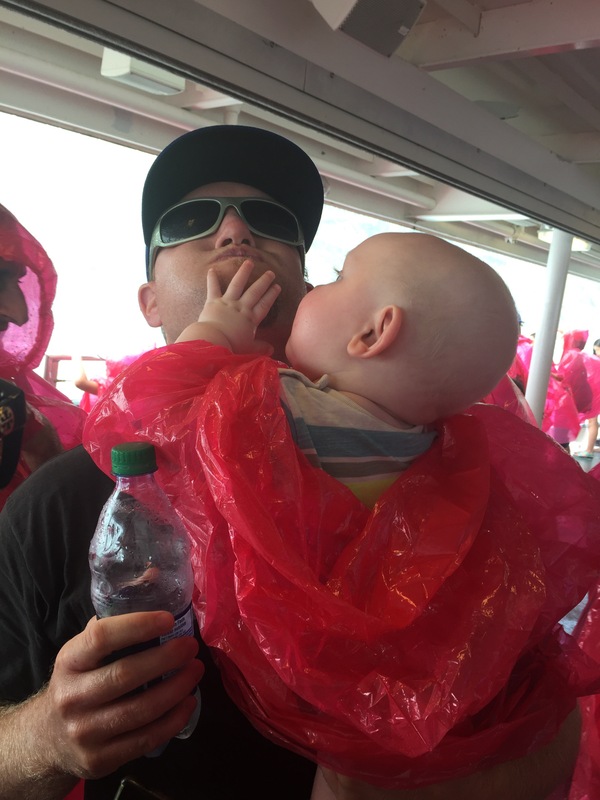 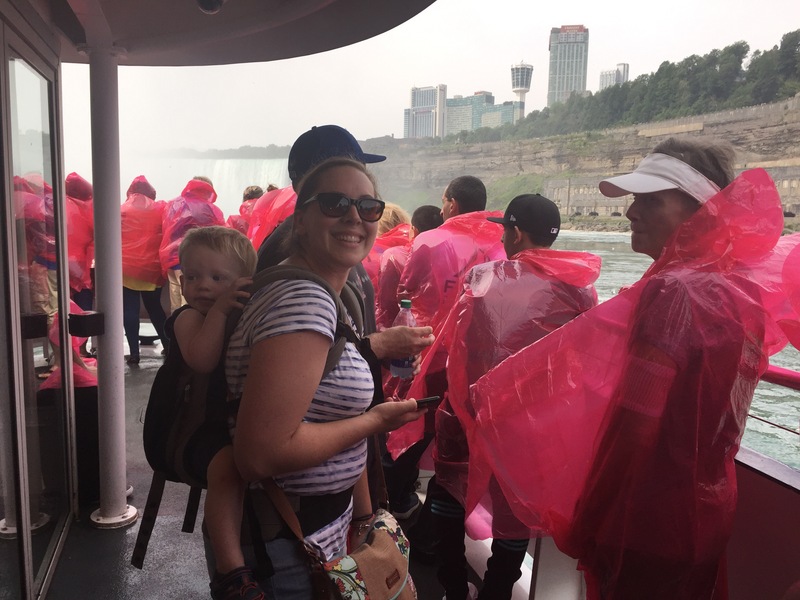 She loved seeing all the water, all the boats, people going all over the place on zip lines and helicopter’s – but she was not a big fan of the mist and water being sprayed all over her. 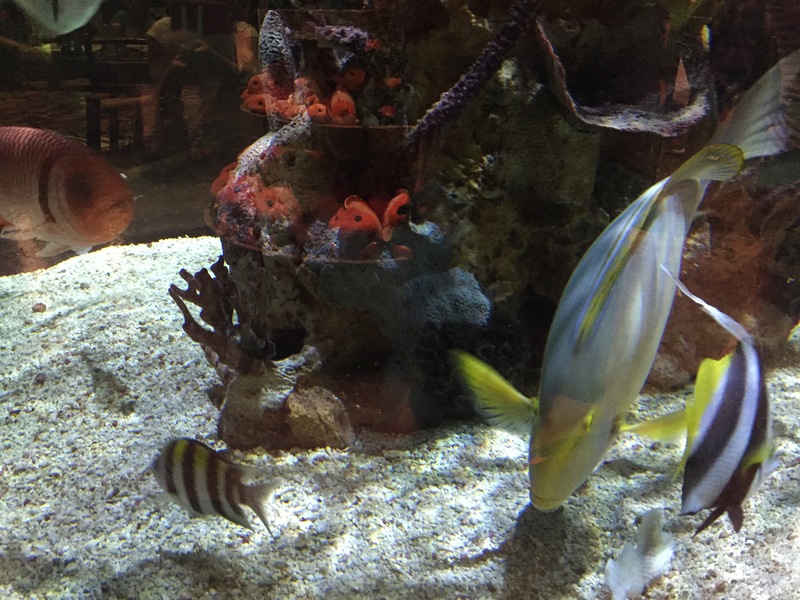 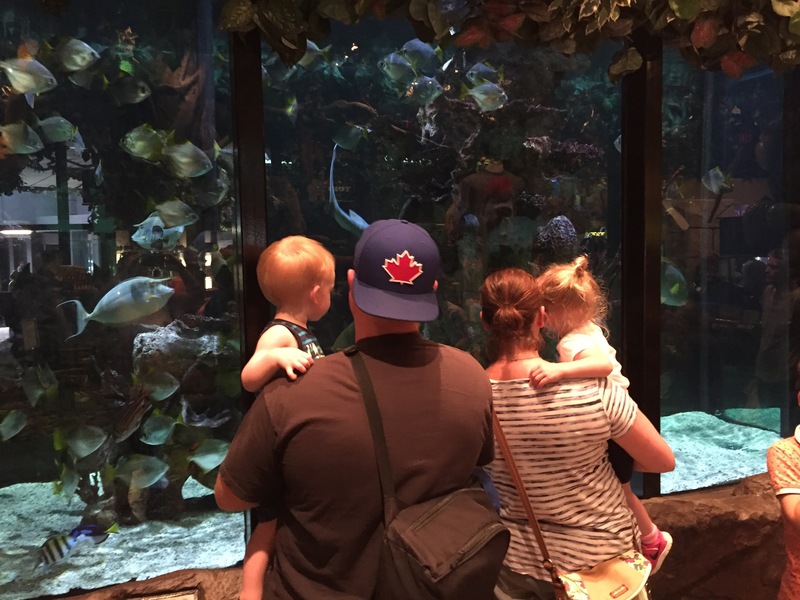 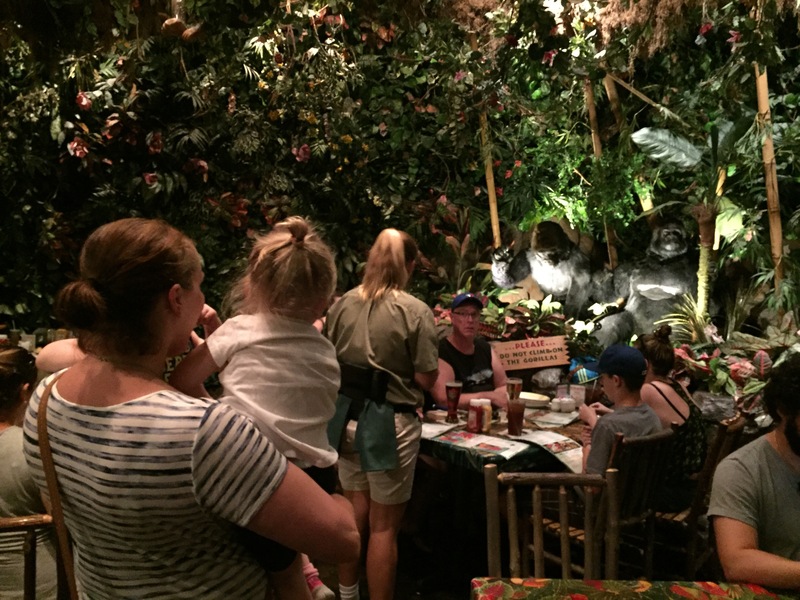 After a great time on the boat, everyone headed to the Rainforest Cafe for some lunch. 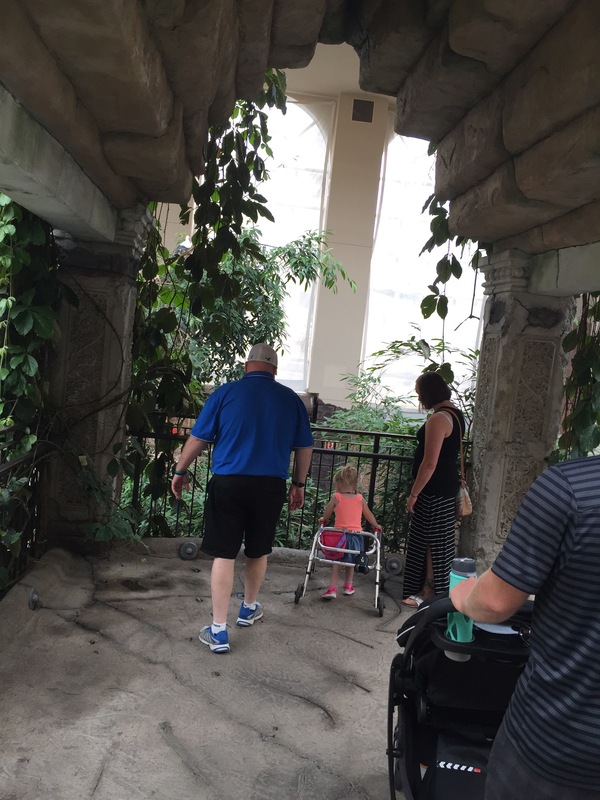 Madison didn’t quite make it – she ended up sleeping in the stroller for about an hour and then woke up to the sounds of an arcade and a thunderstorm in the restaurant. 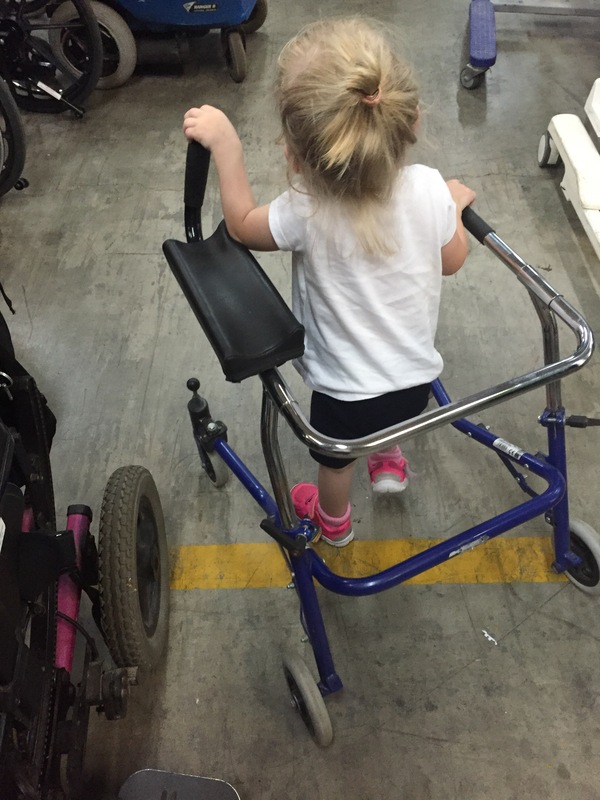 After lunch- Mommy, Daddy and Madi headed to a local warehouse for a special shopping trip. 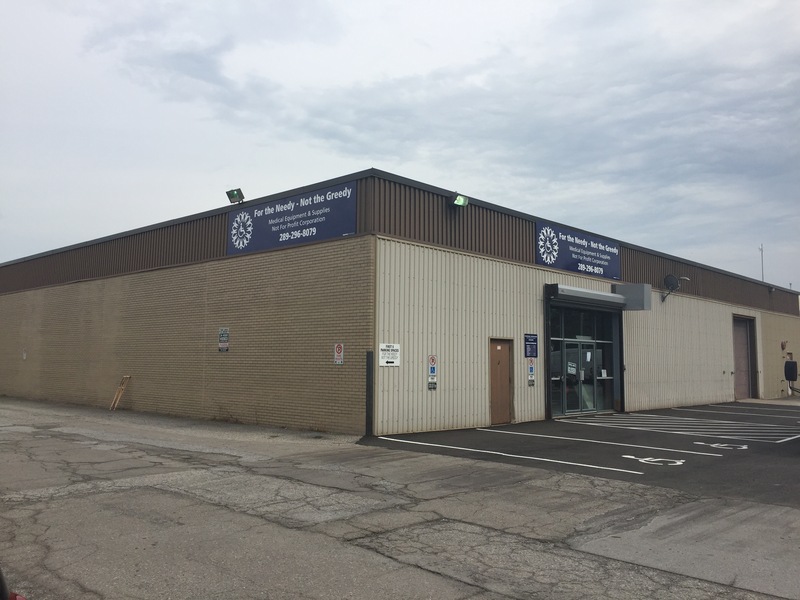 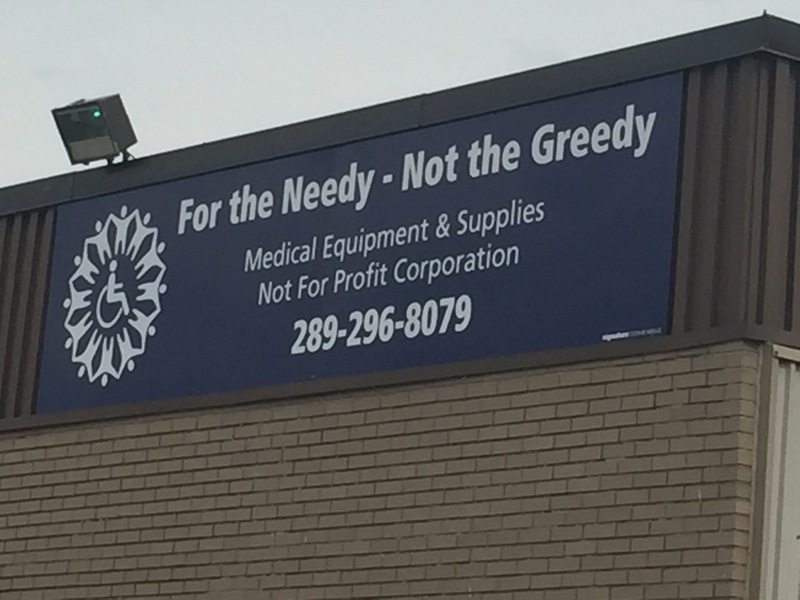 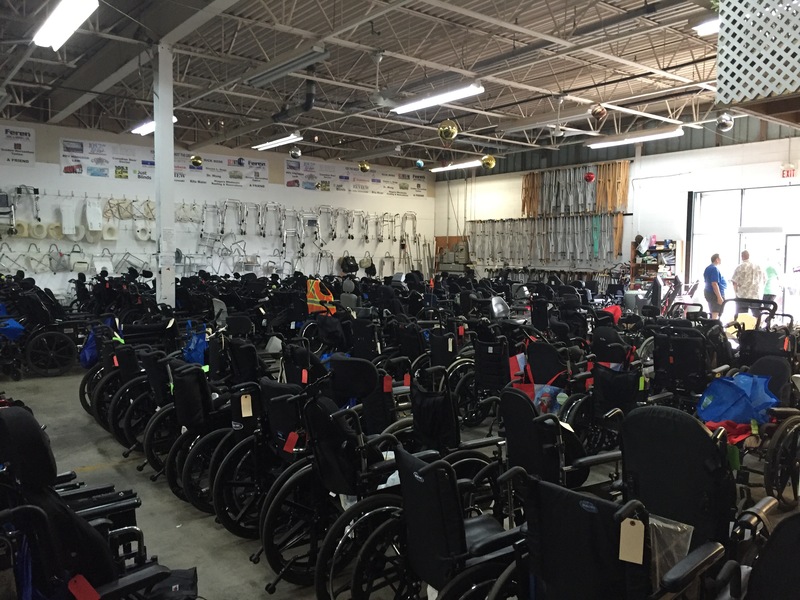 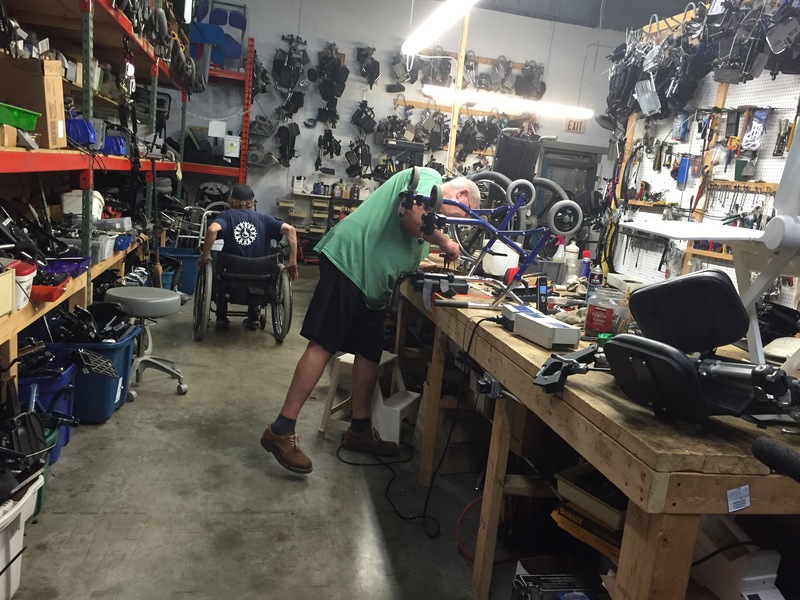 Madi checked out a place called “For the Needy – Not the Greedy” They are a non- profit organization that collect used medical equipment and assistive mobility devices for both children and adults. 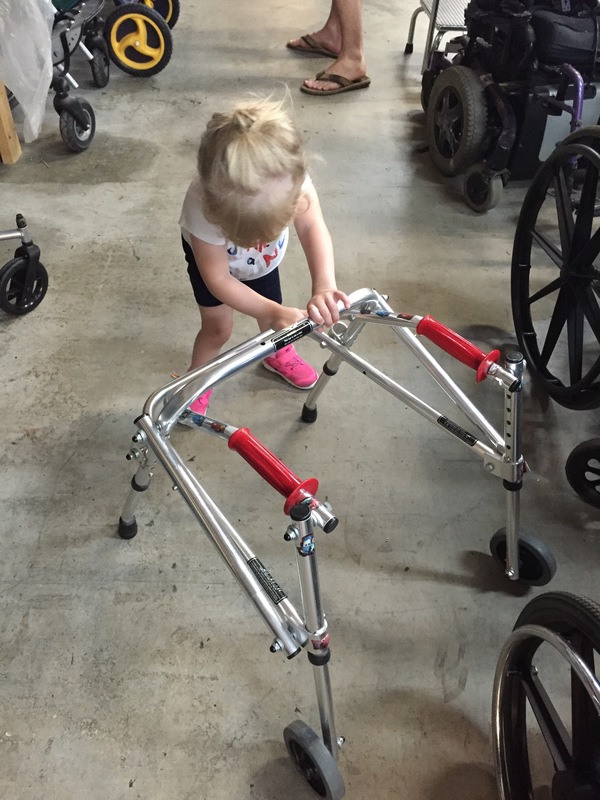 Madison found herself a blue walker that she is going to use to practice her walking for the flux walker that she owns. 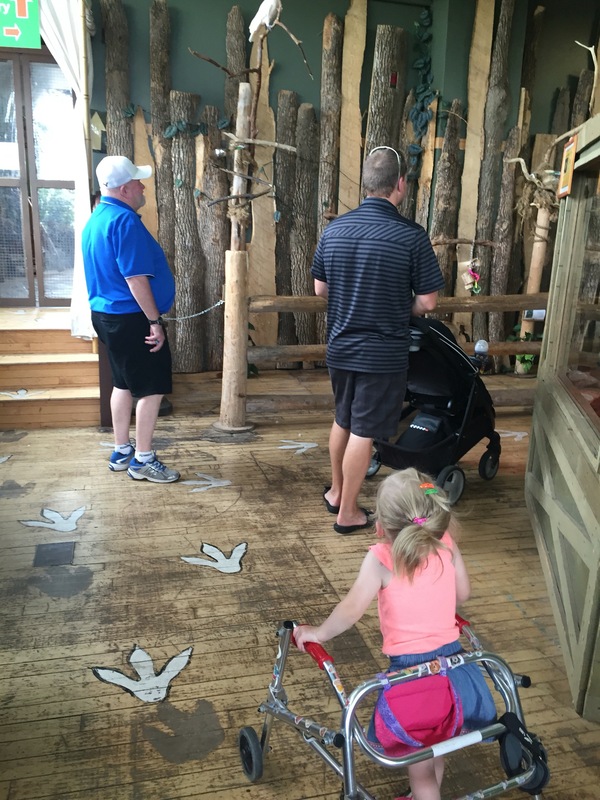 The amazing thing is that the equipment for children is no charge. 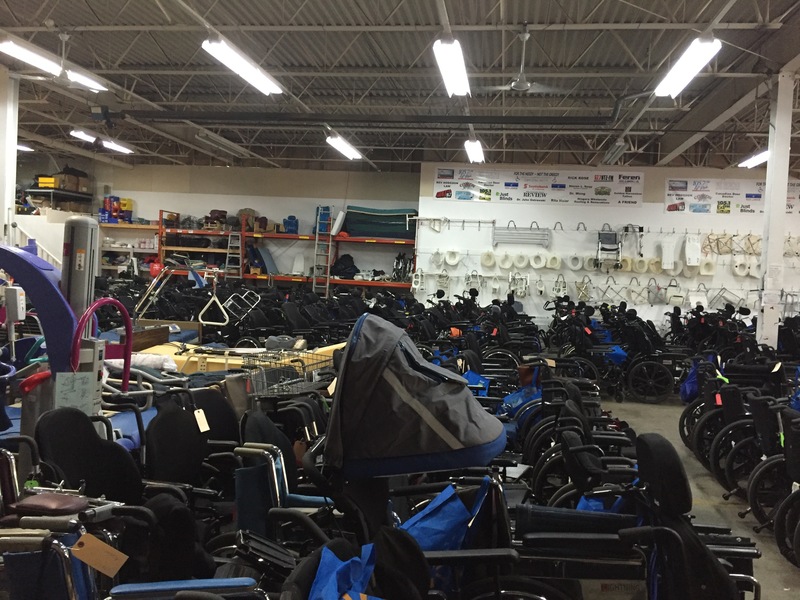 It is all donated from families who no longer need equipment. 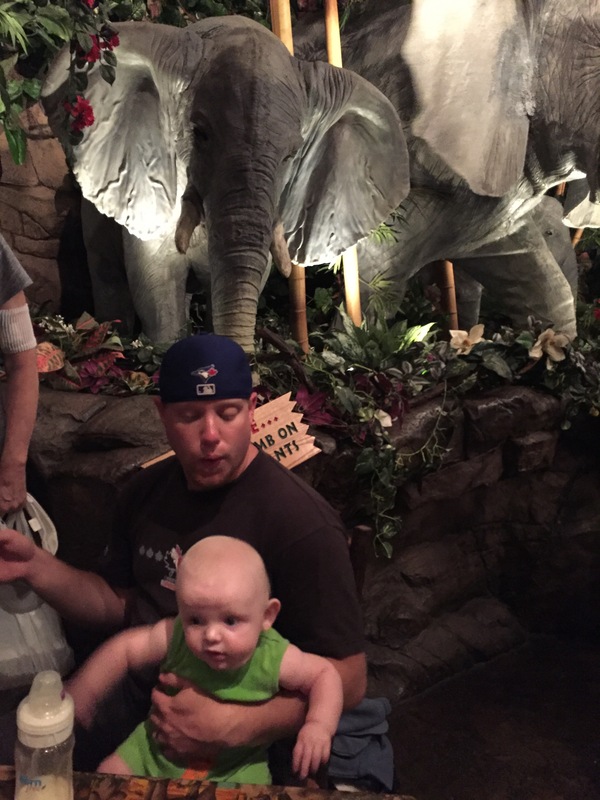 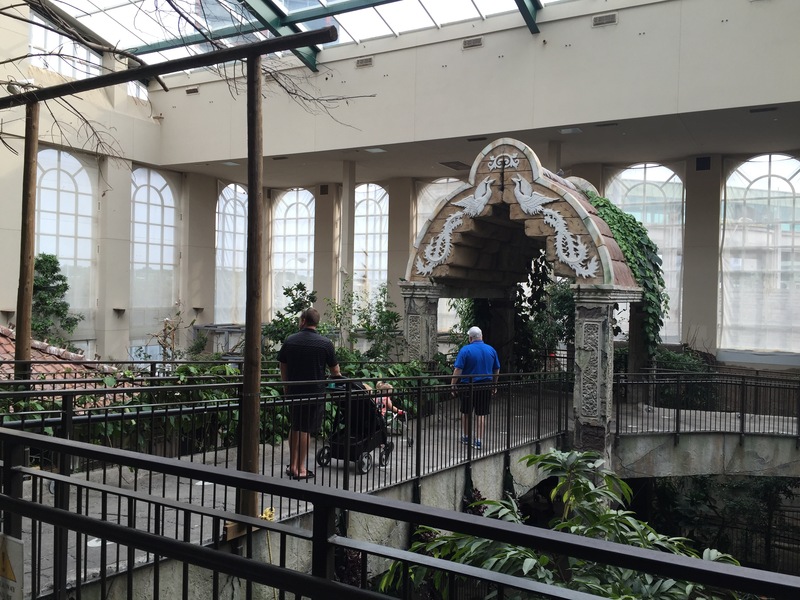 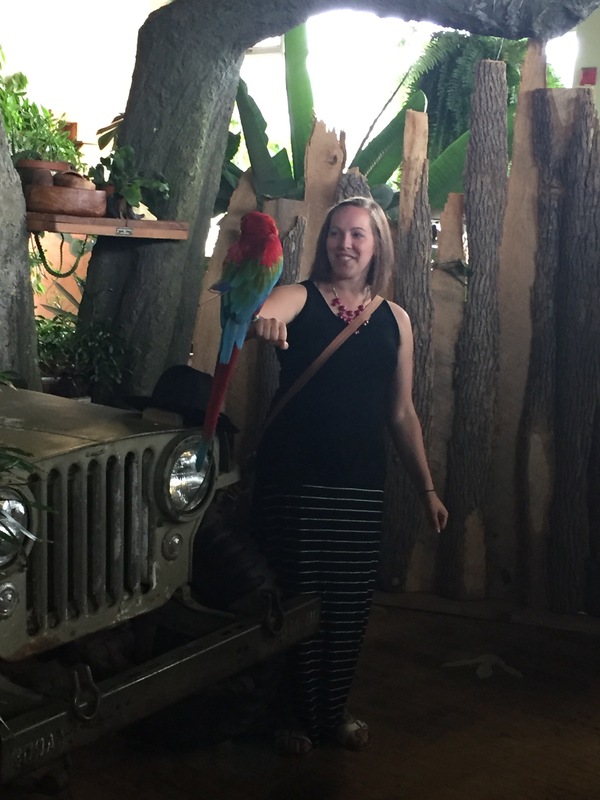 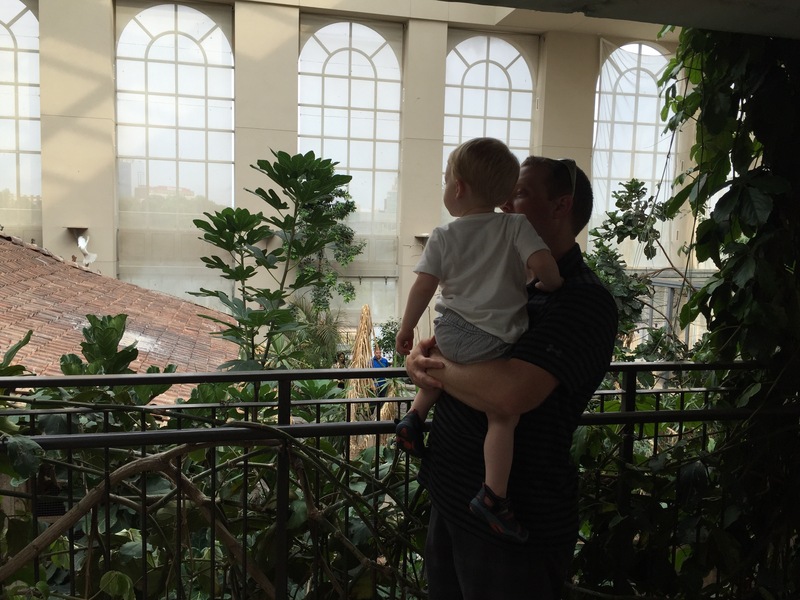 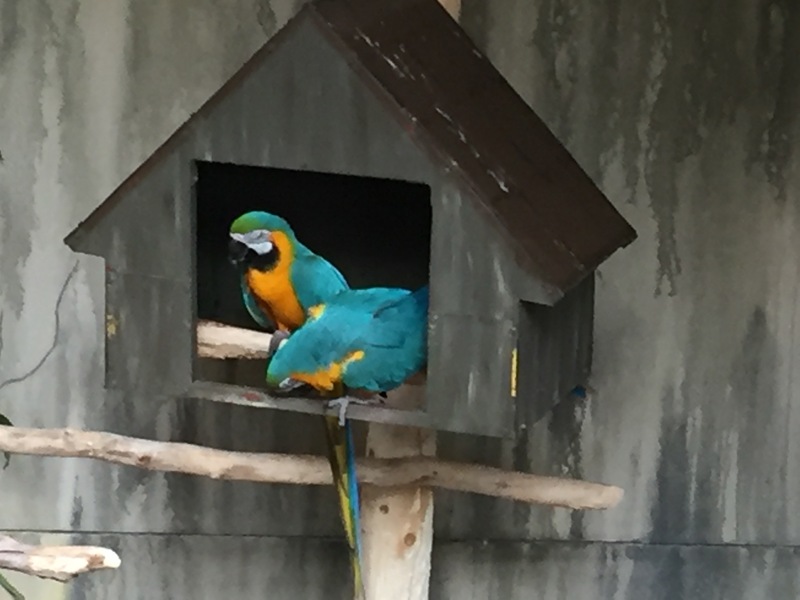 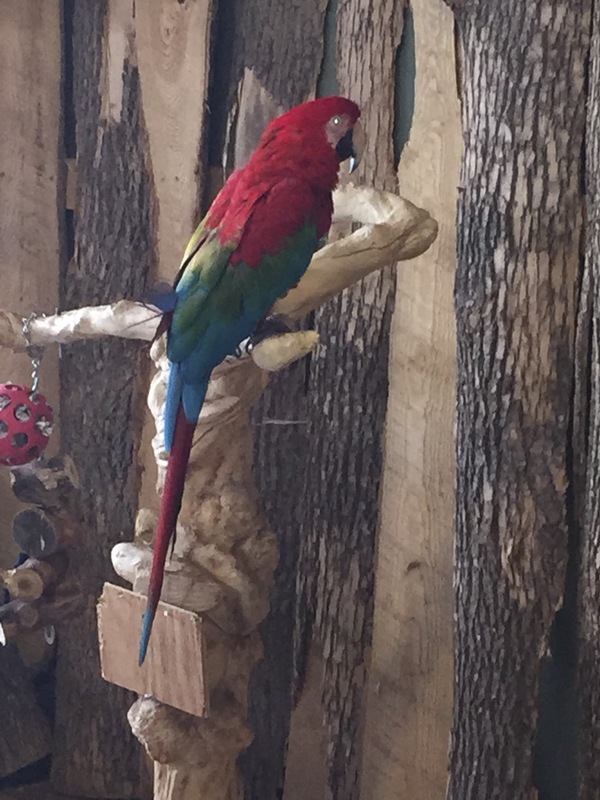 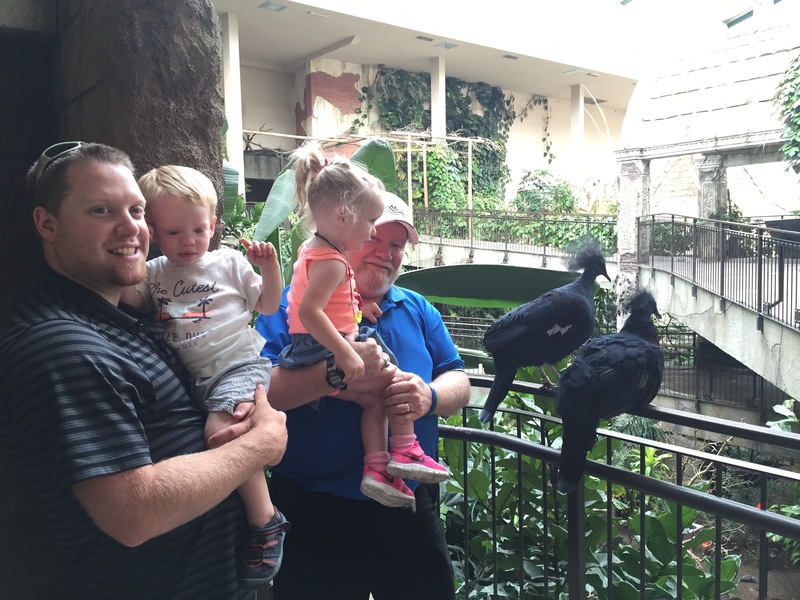 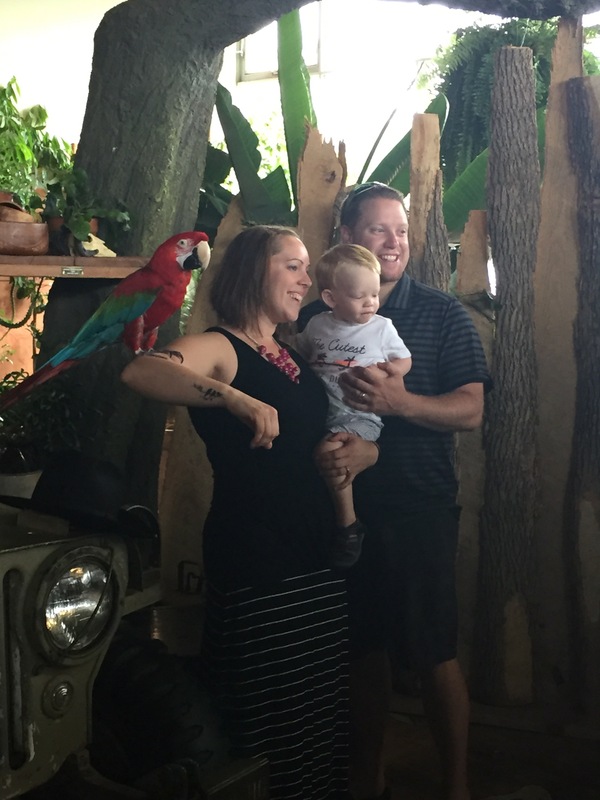 When Madi got back to the hotel it was time to go see the birds at bird kingdom. 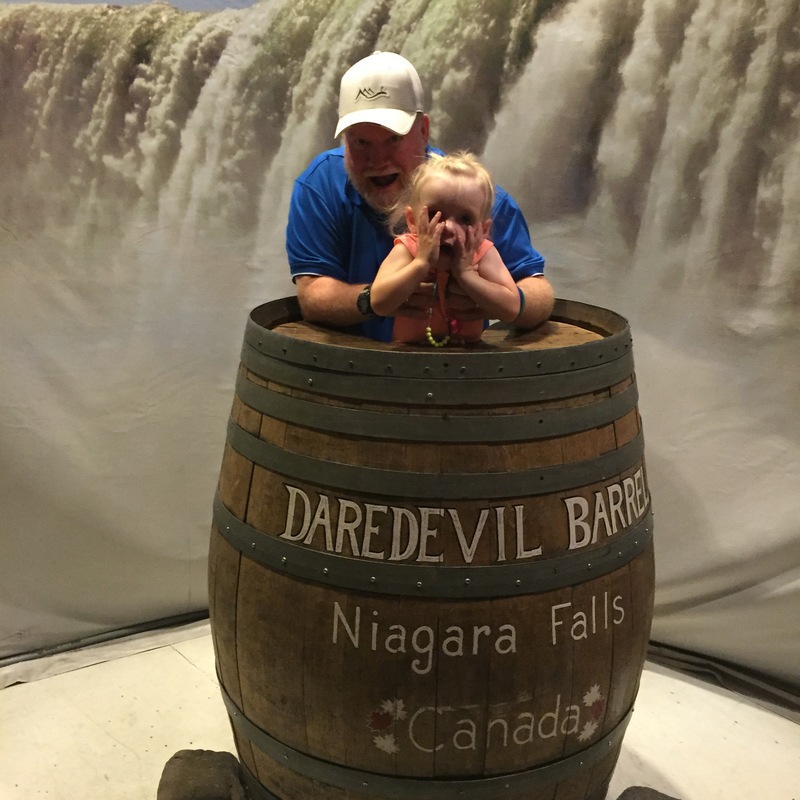 She was super excited! 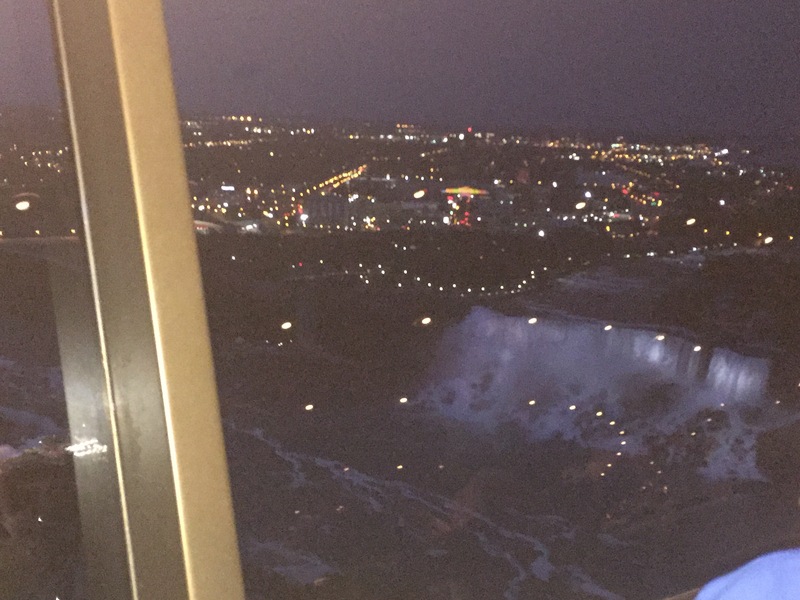 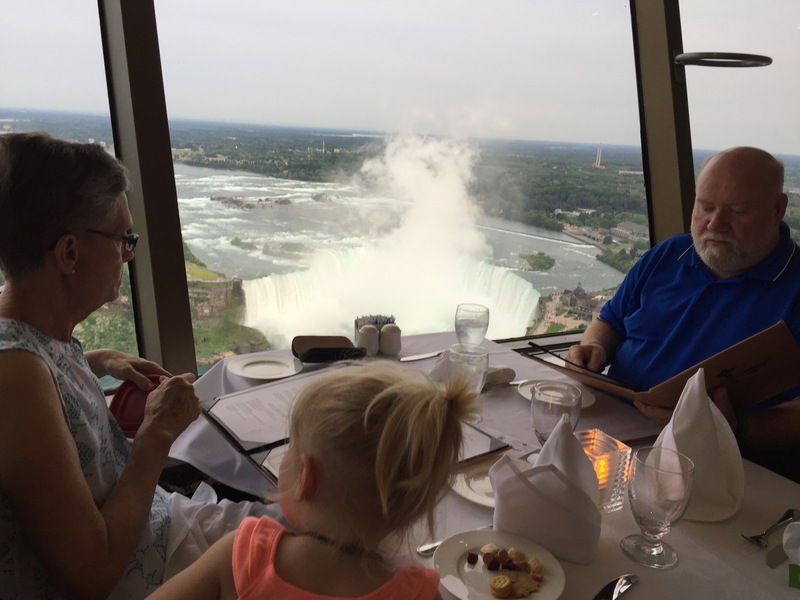 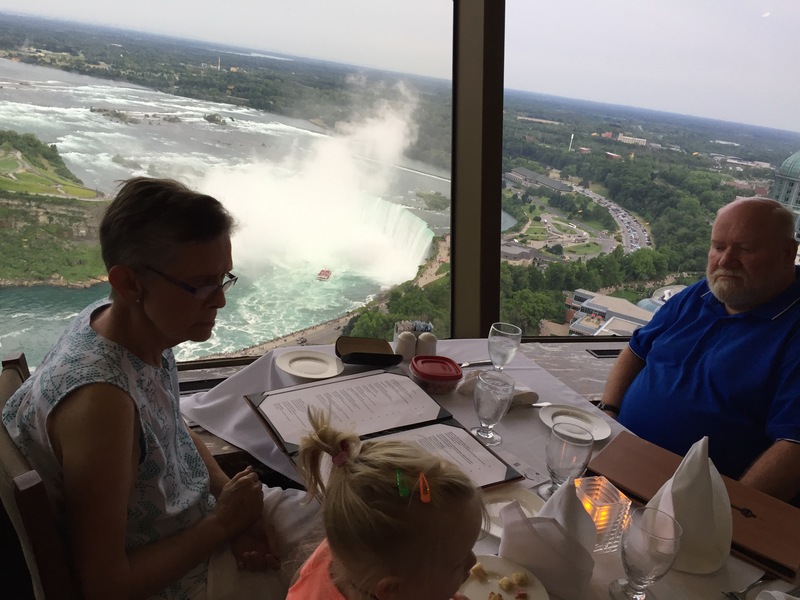 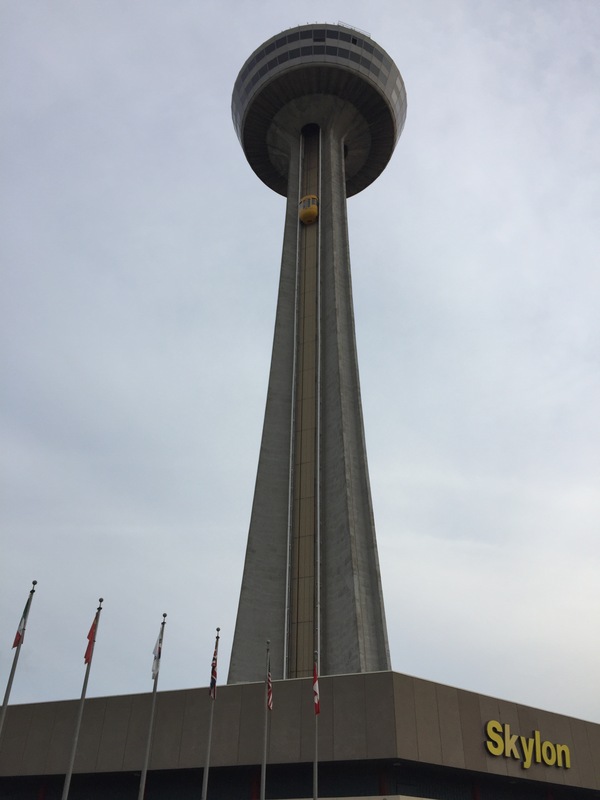 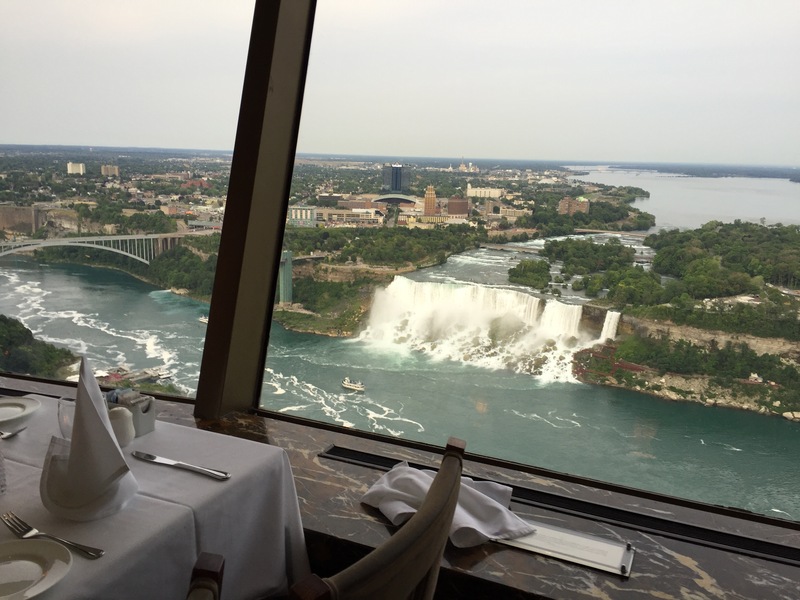 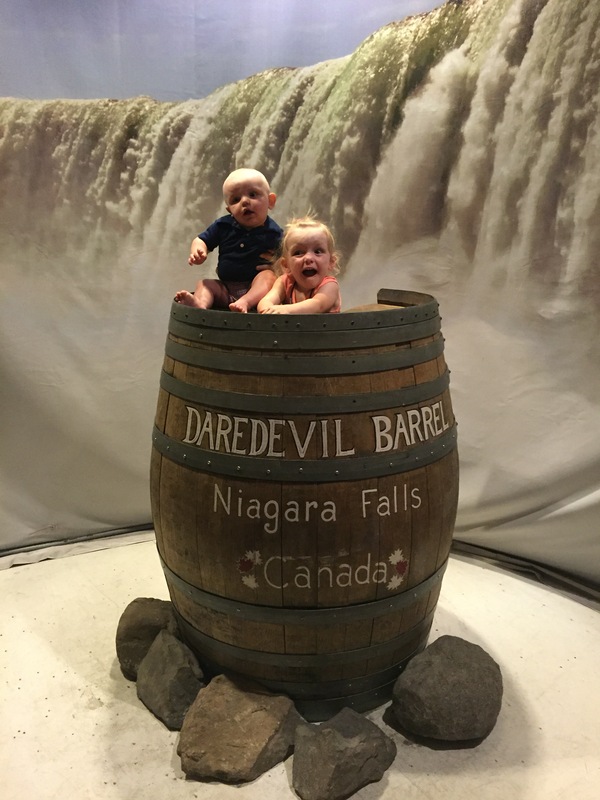 It was then time to head to a special dinner that Nana and Papa arranged at the Skylon Tower! 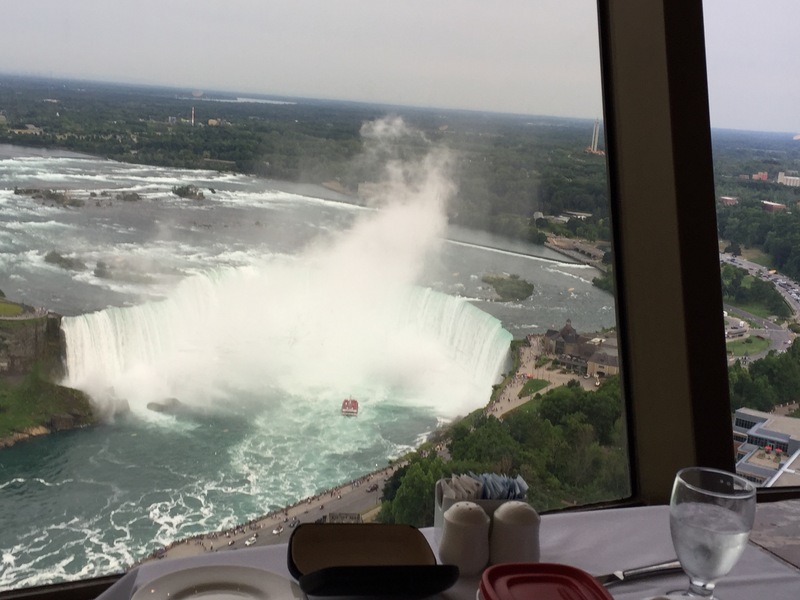 The food was amazing and the views were beautiful! 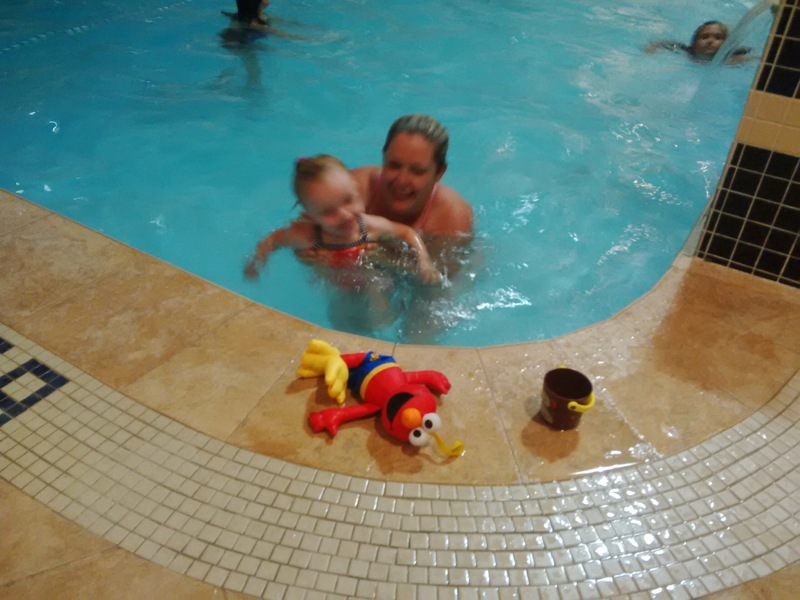 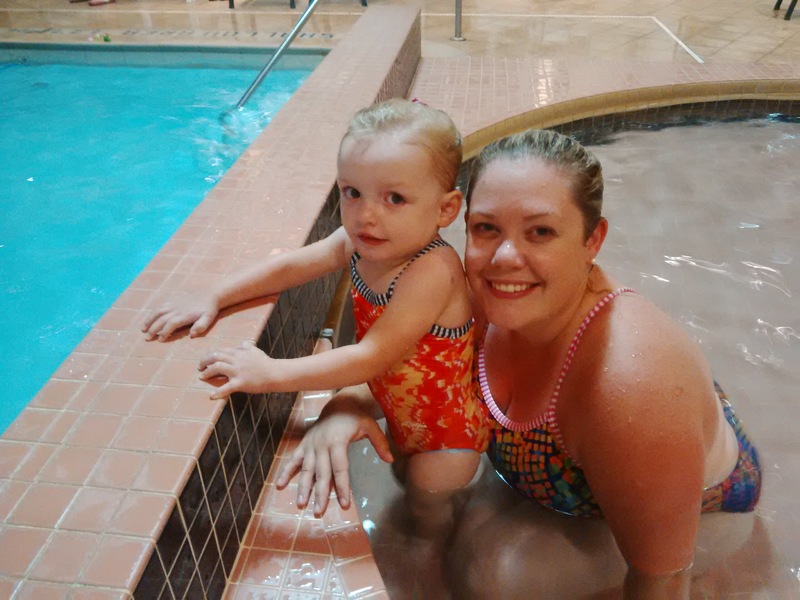 After dinner, Madison headed for a late night swim to help relax her feet and legs that have been acting up lately and very sore.